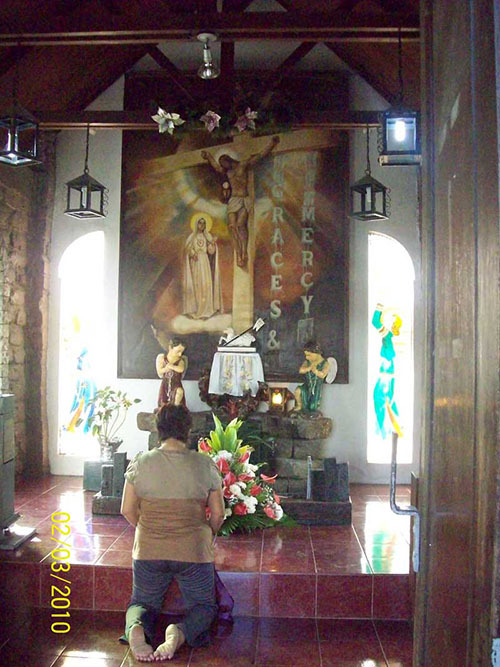 A praying woman inside the Shrine of the Divine Mercy in Marilao, Bulacan. Let’s observe this Lenten season not just to repent for our sins but to renew our relationship with God. You may say why wait for the Holy Week to do and say good things. This season would be a good start to reflect on so many things without the distraction of television and gadgets. Let’s have a quiet moment. I took this photo during my son’s school field trip in 2010. This entry was posted in Reflection and tagged reflection for the Holy Week on April 1, 2015 by Yami.